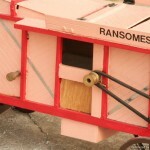 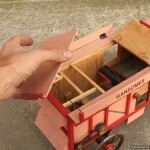 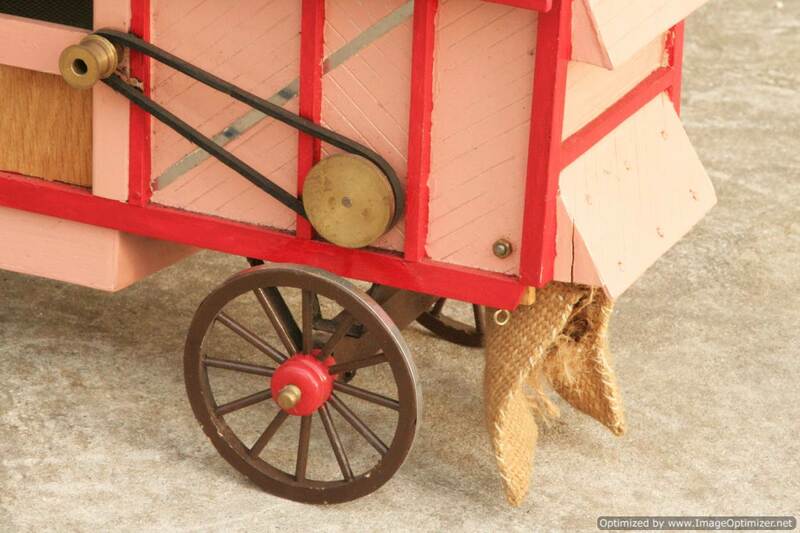 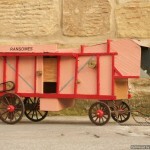 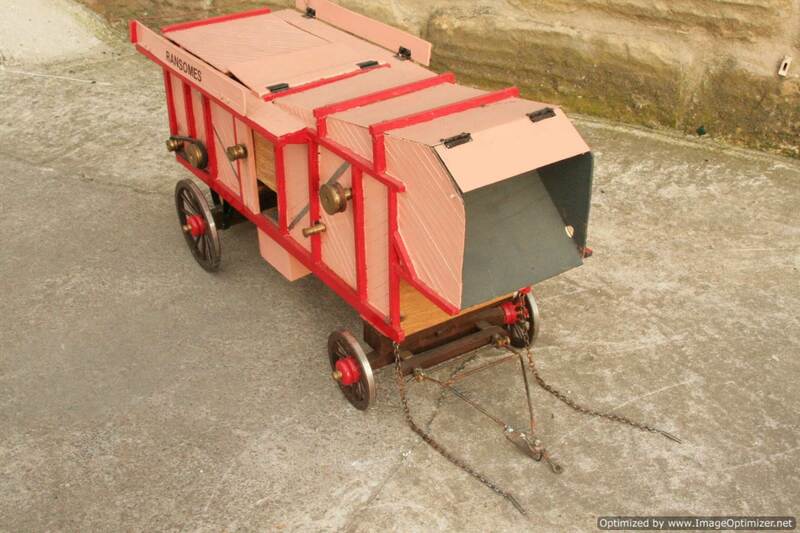 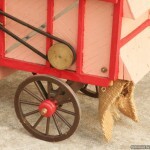 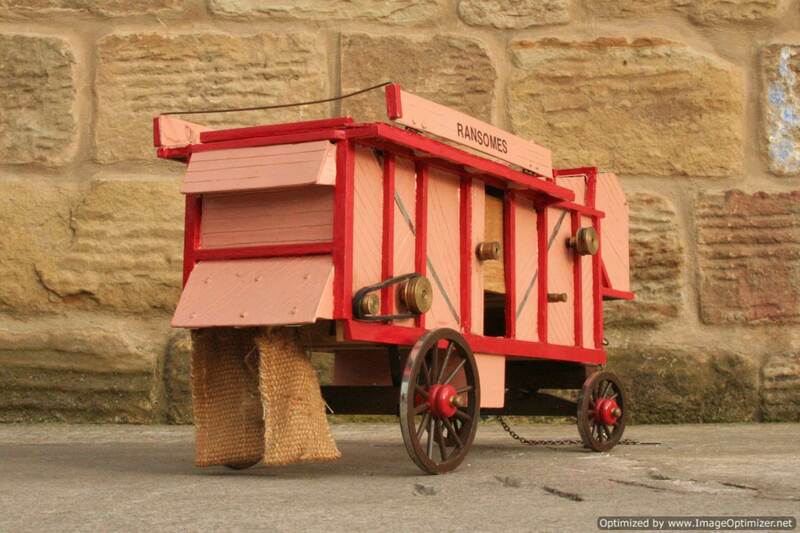 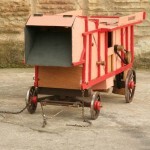 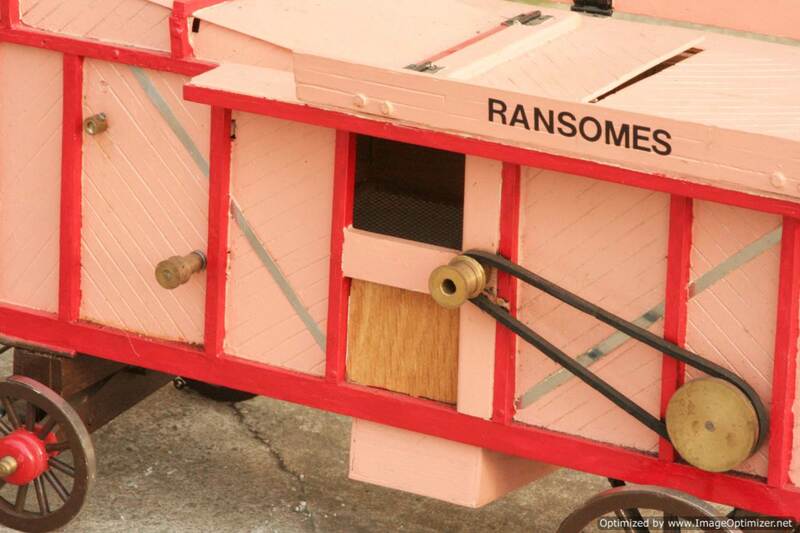 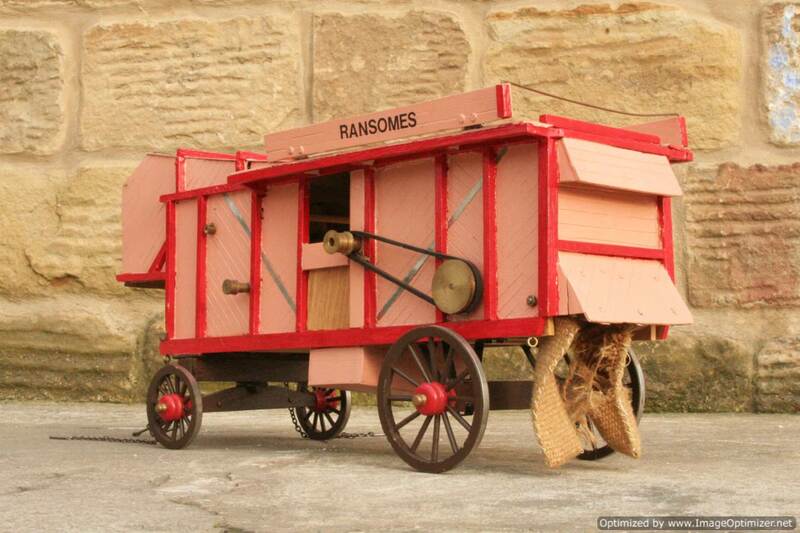 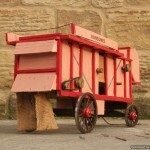 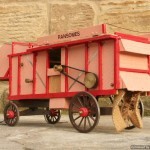 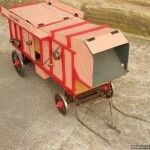 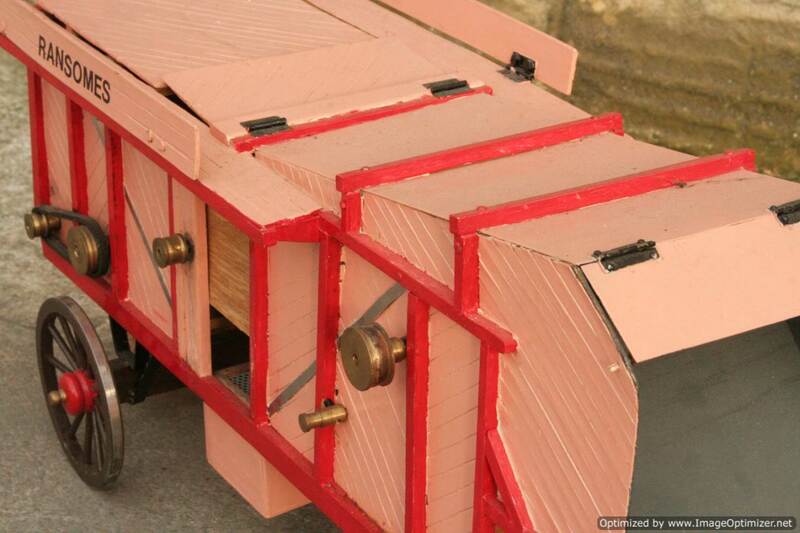 Here we have a lovely little 1″ scale Ransomes Threshing machine. 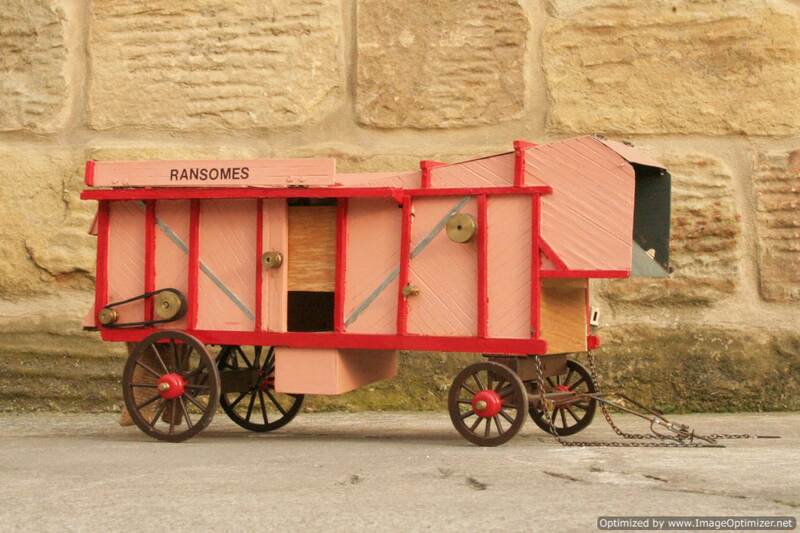 Quite a rare little thing in 1″, the John Haining drawings being for 1 1/2″ scale. 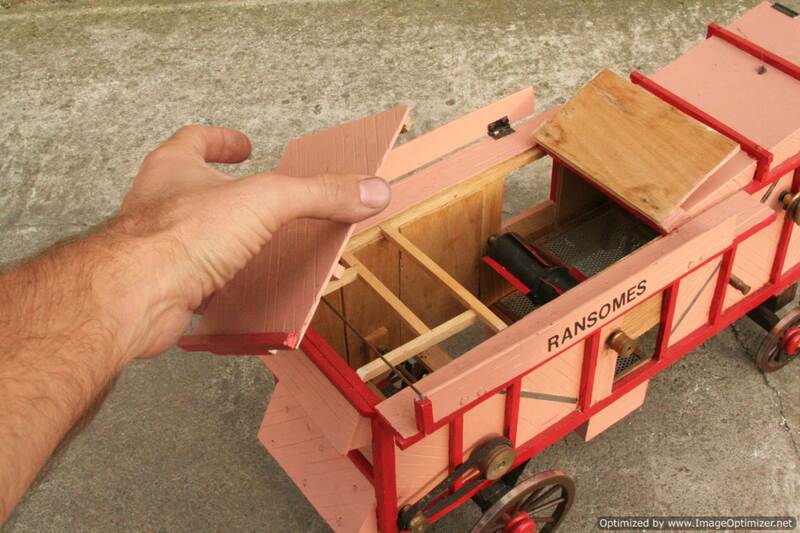 This is a nicely executed display model, rather than an entirely accurate, working scale model. 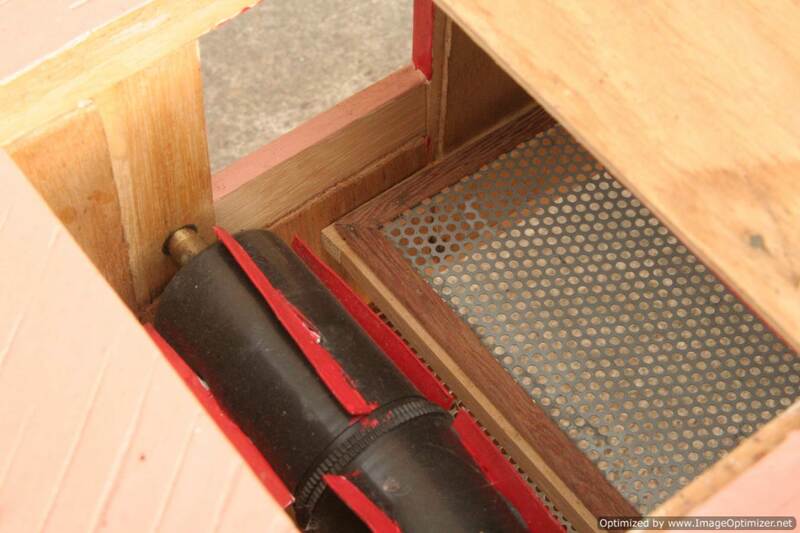 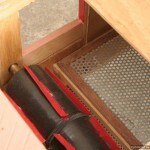 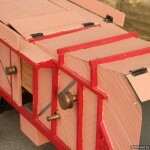 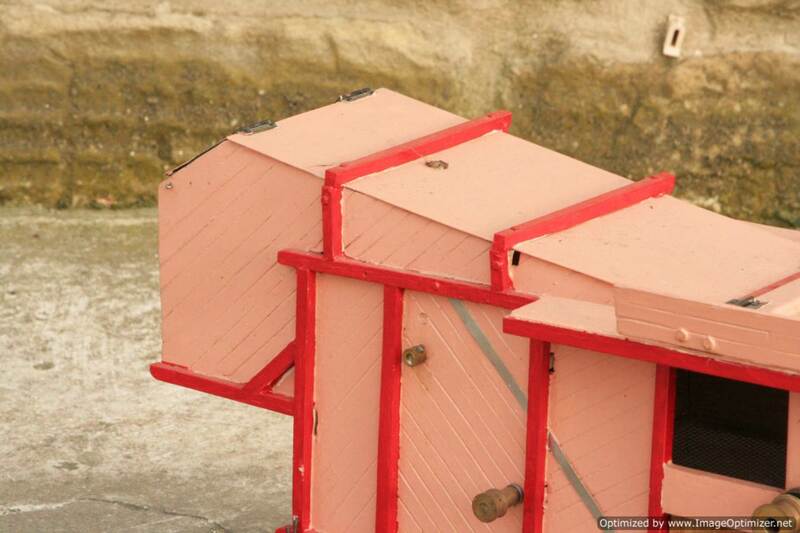 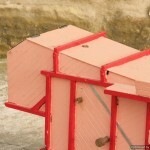 Some of the inner detail is there, but not enough to satisfy a purist! 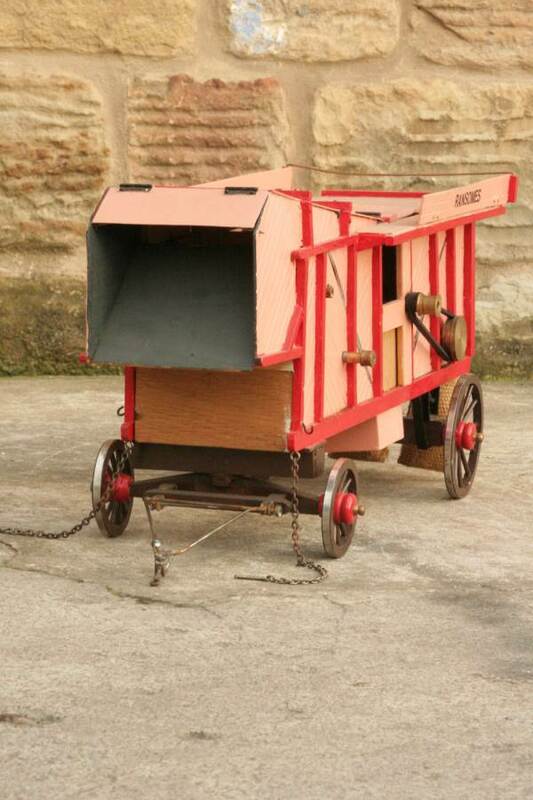 This would look lovely paired with your 1″ Traction engine, a Minnie perhaps or something like the Davey Paxman we had in last year.